Leicester City defender Harry Maguire has revealed that his club blocked a move away from the King Power Stadium this summer amid supposed transfer interest from Manchester United manager José Mourinho. The 25-year-old had a fantastic season with the Foxes last year, but it was Maguire's performances with England at the World Cup that saw his rise to stardom really take off. Maguire was believed to be a serious target for ​Manchester United ahead of the 2018/19 season as the club shortlisted as many as five defenders who could be brought in to bolster the club's defence. However, teenage full back Diogo Dalot remained as their only defensive signing after deals for the club's main targets failed to get off the ground. 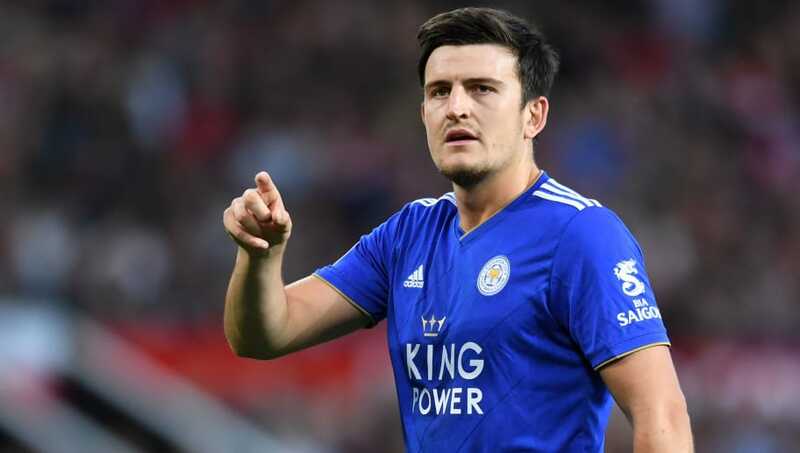 Maguire has since explained that a proposed move to Old Trafford was blocked by Leicester City during the transfer window, forcing the England international to remain in the East Midlands for at least another year. "If we were successful at the World Cup, as we were, there were always going to be players who came under interest that is part and parcel of the game," Maguire said, quoted by Leicestershire Live. "I spoke with Leicester after a bit of interest from clubs, they reiterated that I wasn’t for sale and I respected that decision." "They gave me an opportunity to play in the Premier League, when I had just been relegated with Hull. They gave me that opportunity and it is a club I am really enjoying my time at. I am playing week-in and week-out, which is important to me. "They have given me the platform to play at the World Cup, so I feel I owe them and I respect that decision. Now I am looking forward to the season." In a cruel twist of fate, the Premier League's fixture generator awarded Maguire with a trip to Old Trafford on the opening weekend of the new season, where he was shown a lot of support from the home crowd. Although there were murmurs in the stands during the match about what could have happened if Maguire signed for Manchester United, the defender is adamant that the support he was shown is solely down to England's achievements at the World Cup. "It was quite strange but I’ve had a few claps from opposition fans," he added. "I think that was due to the achievement that we, as a team, produced at the World Cup. I think we brought the country together." Maguire will be part of the Three Lions squad for the upcoming UEFA Nations League match against Spain at Wembley on Saturday. The national team will then take further advantage of the international break, playing a friendly against Switzerland on 11th September at Maguire's home field, King Power Stadium.